Whether you call them bobby pins or hair pins, these things are all over the place in any girl's house. They're like the glitter of hair products! My sister had them everywhere growing up but I rarely use accessories like these. There was a time I had long hair and did a super high (and massive) sock bun, but that bad boy needed - I kid you not - several dozen pins and gobs of hair spray to keep up my crazy-thick hair for a few hours. Regardless how these are used, most of us keep them hidden in our hair. What if they were used prominently in a hair style? Buying special colored or patterned ones can be expensive especially at cost-per-pin. If you have a bunch already, why not color a few extra yourself? 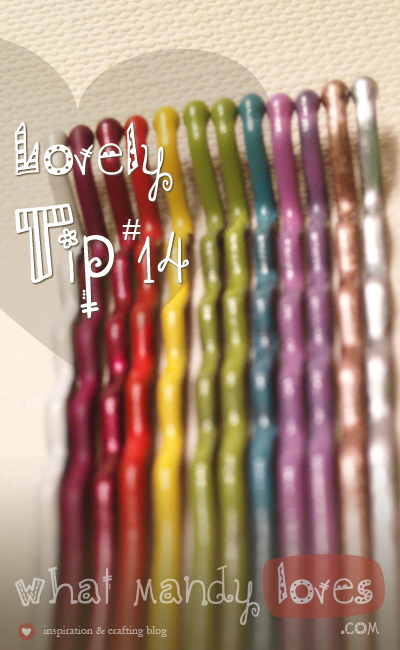 Get some of your favorite nail polish colors or extra paint and apply a think layer to the top of extra bobby pins for a pop of color. 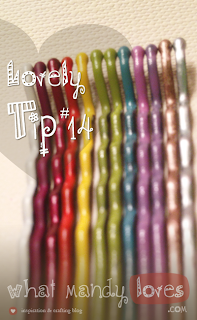 When us girls are not using them for keeping our hair in place, they can be used for so many DIY projects, too! 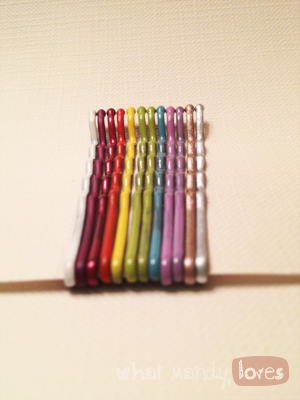 Searching "bobby pin diy" on the interwebs brings up painted pins and a gazillion other ideas. Think bobby pin statement necklace or a mirror surrounded entirely of pins. As for the pins you'll use in your hair, there's styles that purposefully use bobby pins as the center-piece for the look. Paint patterns that extend into multiple pins and you'll have a block of pins in your hair show up in a chevron pattern, stripes, etc. Below I have a pic of my short-ish hair pulled to the side with two colored pins. A little bit of hair spray and it will stay all day and keep the polish from chipping as a bonus. 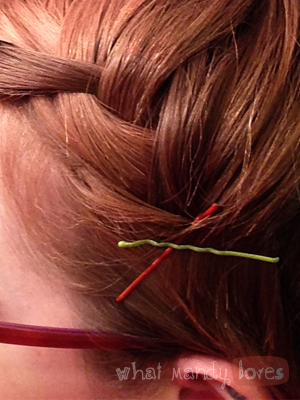 How do you use bobby pins? Let me know in the comments.